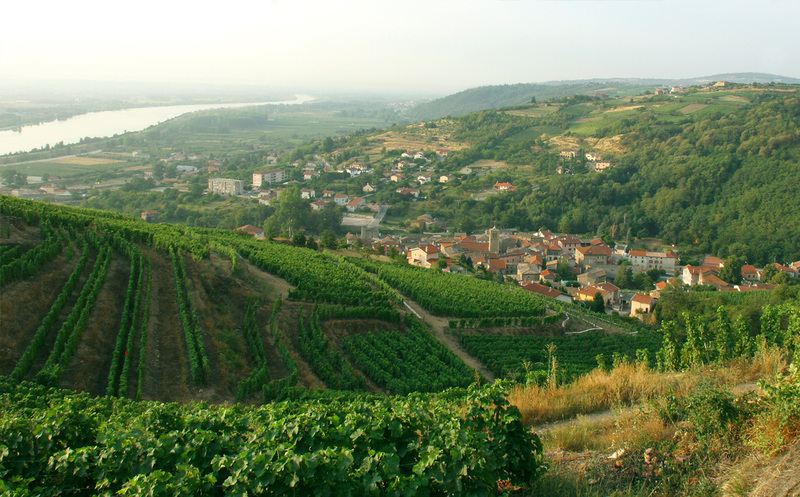 Over the centuries, the vineyards of Côte-Rôtie, located near the same wharf as those of Condrieu, have been one of the busiest transit points on the River Rhône. In discussions about Côte-Rôtie, shepherds, boatmen and canons are sure to crop up. They all made big contributions to the birth and reputation of its wines. Around 600 BC, Greek shepherds, rather than negotiating the Massif Central with their flocks, favoured the banks of the Rhône, where they planted Syrah cuttings brought from Dalmatia. Much later, the port of Condrieu was founded thanks to the river’s current and banks. From the 13th to 19th centuries, the Rhône boatmen prospered, the river being the preferred communication route. As for the canons, in 1195 they had a castle built in Condrieu. A series of charters between the seventh and 18th centuries, coupled with the establishment of monasteries around Condrieu, promoted trade and Côte-Rôtie’s development up to the Revolution. 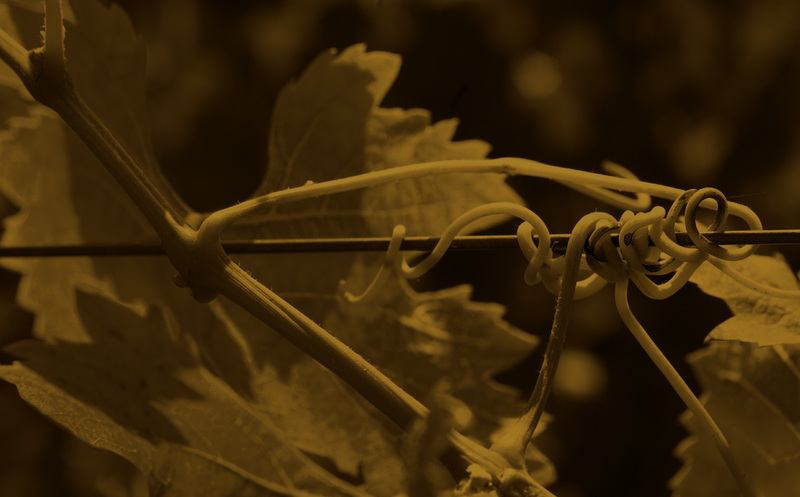 In the 19th century, phylloxera, the advent of the railways and then World War One, the 1930s crisis and the industrialisation greatly harmed the vineyards. Then, little by little, they recovered. In 1940, the Côte-Rôtie AOC was created. 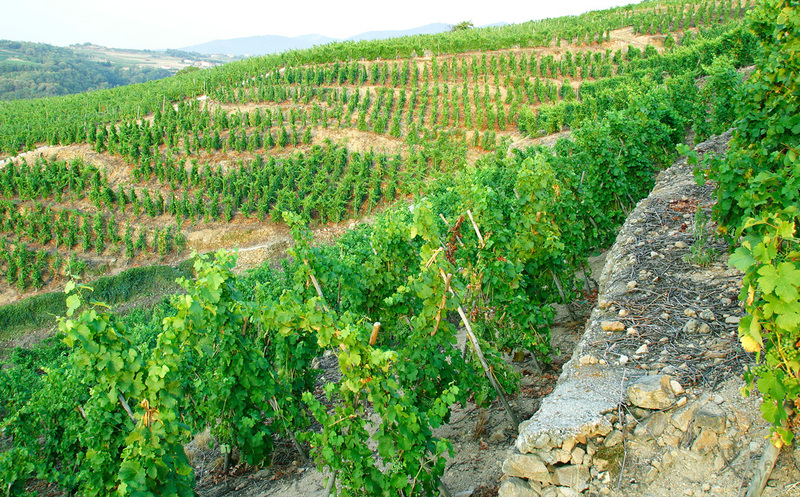 What distinguishes Côte-Rôtie is its vines: in many places, they cling to dizzying slopes. 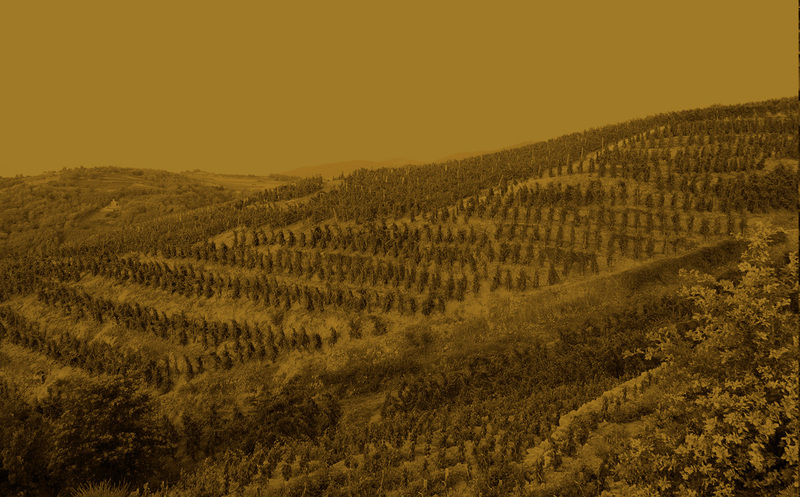 The terraces can rarely be worked mechanically, and the grower’s lot is tough indeed. Two distinct areas, divided by the Reynard stream, form Côte-Rôtie’s vineyards: Côte Brune and Côte Blonde. Many moons ago, so the legend goes, the Lord of Maugiron gave these lands to his two daughters – one brown-haired, the other blonde. 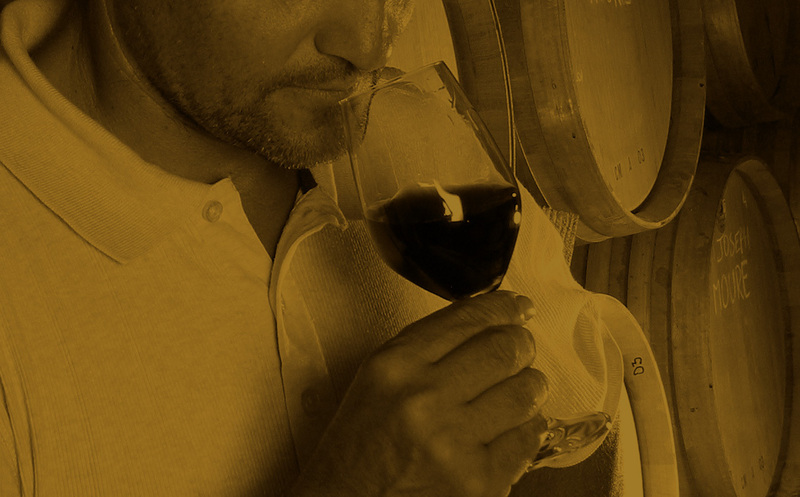 Other reasons, no doubt nearer the truth, justify the distinction: Côte Brune’s more manly and severe character; different micro-climates; Côte Brune’s coarse brown soil, rich in iron oxide; and the lighter-coloured, silicon/limestone soil of Côte Blonde. AOC location: 23 communes in the Ardèche département, and 3 communes in the Loire département. So the “wine of Tournon” did indeed exist. In the Middle Ages, the lords of Tournon also owned the wharf in Tain l’Hermitage, across the river. The “wine of Tournon” thus encompassed the Hermitage wine produced on the east bank and the Saint-Joseph made on the west bank. Politics put an end to this ambiguity, when the Rhône served as the border between the Roman Empire and the Kingdom of the Franks. At the end of the Middle Ages, the “wine of Tournon” was split into two production areas: on the east bank, Hermitage; and on the west bank, the “wine of Mauves”, which in the 17th century became Saint-Joseph (the name is doubtless due to the monastery among the plantations). 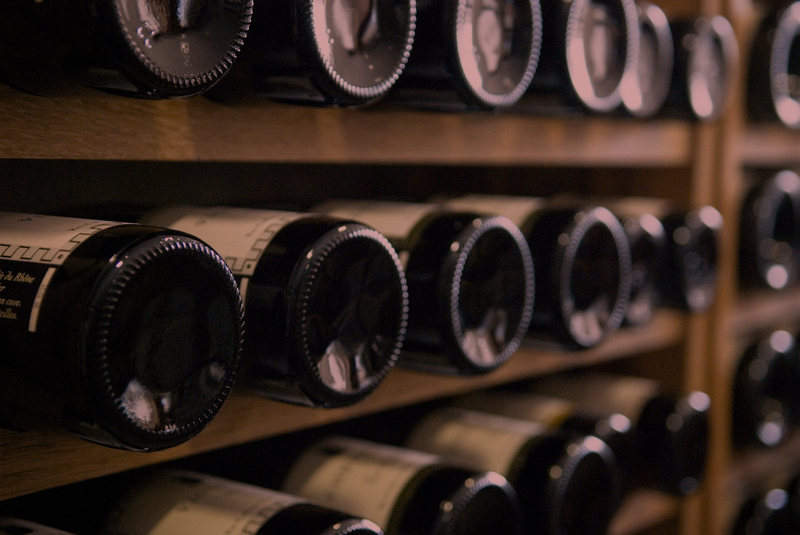 The latter wine long remained little-known, appreciated by connoisseurs alone. Whose fault was that? Blame History, which for centuries clustered all the market outlets in Condrieu (an important town with busy trading links and a strong clerical presence). Thus, the west-bank wine was deprived of development or glory. Saint-Joseph wine owed its rank to just a few clerics, nobles and bourgeois, who were poor but passionate. In 1560, the headmaster of Tournon college wrote: “No wine is so delicate and tasty as that harvested in the lands of Mauves and Tournon, nor so renowned, for it is shipped to Rome and sold in almost unlimited quantities”. 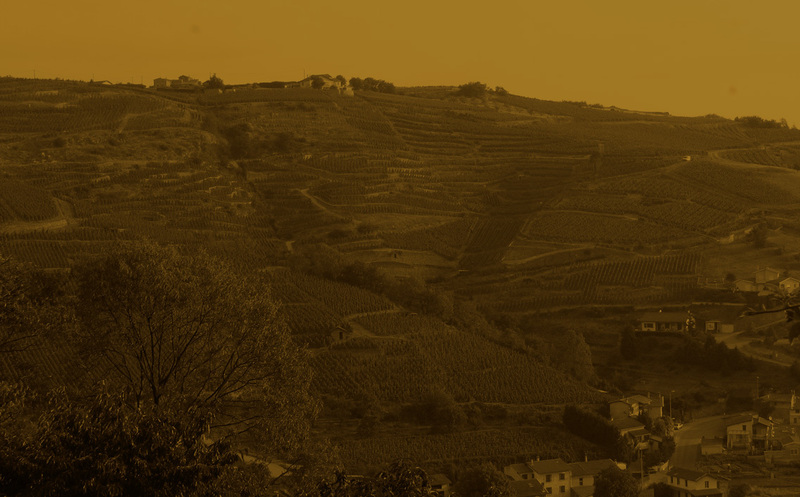 First classified a Côtes-du-Rhône in 1937, Saint-Joseph’s vineyards were awarded their own AOC status in 1954. They stretch for nearly 50 kilometres between Charnas and Châteaubourg, on gently sloping hills, each a little landscape of its own. THE AOP CORNAS : So the “wine of Tournon” did indeed exist. In the Middle Ages, the lords of Tournon also owned the wharf in Tain l’Hermitage, across the river. 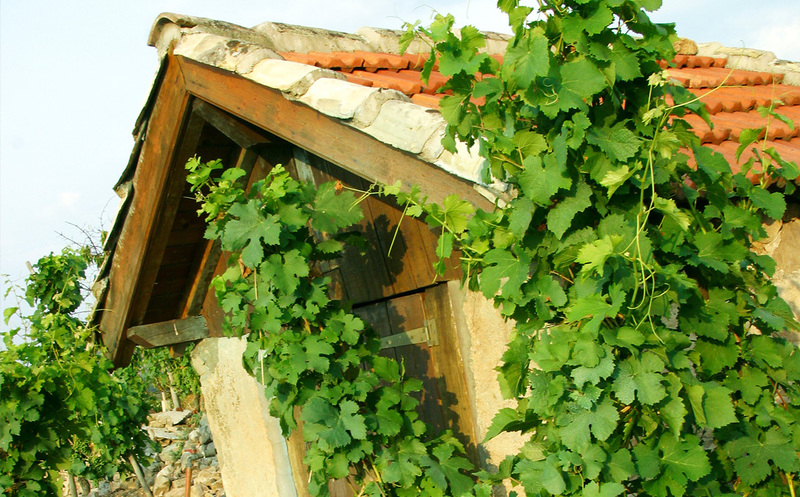 The “wine of Tournon” thus encompassed the Hermitage produced on the east bank and the Saint-Joseph made on the west bank. Politics put an end to this ambiguity, when the Rhône served as the border between the Roman Empire and the Kingdom of the Franks. At the end of the Middle Ages, the “wine of Tournon” was split into two production areas: on the west bank, Hermitage; and on the east bank, the “wine of Mauves”, which in the 17th century became Saint-Joseph (doubtless in reference to the monastery among the plantations). As for the wine of Cornas, though recorded in history’s footnotes as one of Charlemagne’s favourites, it really began to acquire renown in the 17th century. 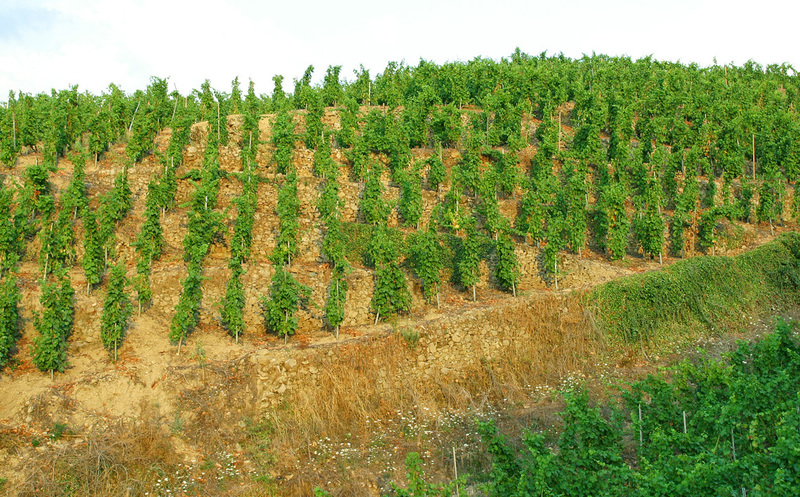 Despite wars over the centuries, grapes were consistently grown on its steep, south-facing, granitic slopes. In the 19th century, before phylloxera struck, Cornas wine was as highly rated as that of Châteauneuf-du-Pape. Cornas gained AOC status in 1938. THE AOP CONDRIEU: The name Condrieu is derived from Coin du Ruisseau, “Corner of the Stream”: a wharf, in other words. Over the centuries, Condrieu has been one of the busiest transit points on the River Rhône. In discussions about Condrieu, shepherds, boatmen and canons are sure to crop up. They all made big contributions to the birth and reputation of its wines. Around 600 BC, Greek shepherds, rather than negotiating the Massif Central with their flocks, favoured the banks of the Rhône, where they planted Syrah cuttings brought from Dalmatia. Much later, the port of Condrieu was founded to utilise the river’s current and banks. From the 13th to 19th centuries, the Rhône boatmen prospered, the river being the preferred communication route. As for the canons, in 1195 they had a castle built in Condrieu. A series of charters between the seventh and 18th centuries, coupled with the establishment of monasteries around Condrieu, promoted trade and the vineyards’ development up to the Revolution. In the 19th century, phylloxera and the advent of the railways, followed by World War One, the 1930s crisis and industrialisation, practically finished the vineyards off. 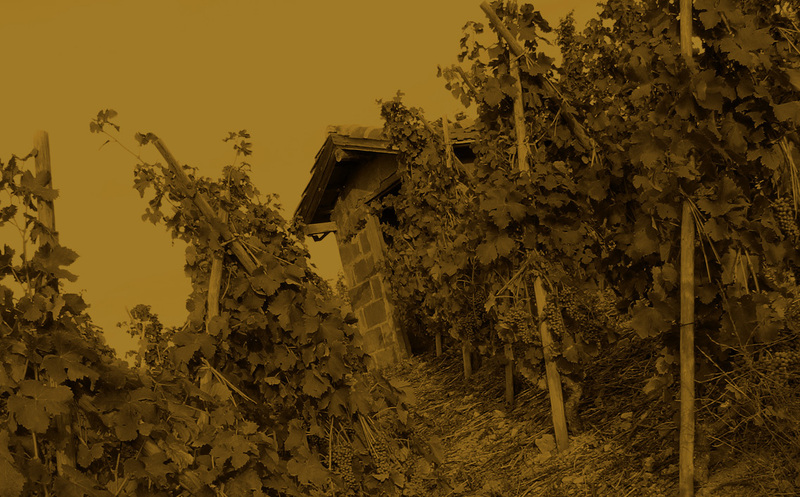 When the AOC was established in 1940, there remained only 10 hectares (about 25 acres) under cultivation of the 170 mentioned in the appellation decree. 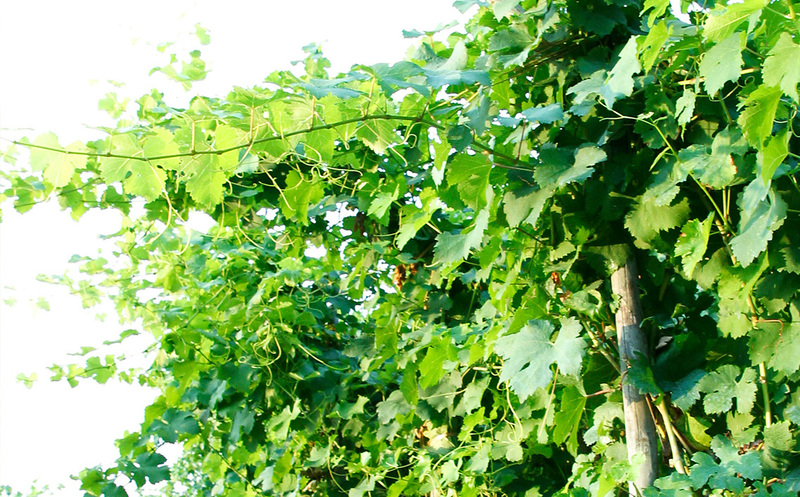 Thanks to a few growers’ courage and tenacity, the vineyards did not die. They converted land by clearing the hillsides, building terraces, and replacing the local hybrids with Viognier. 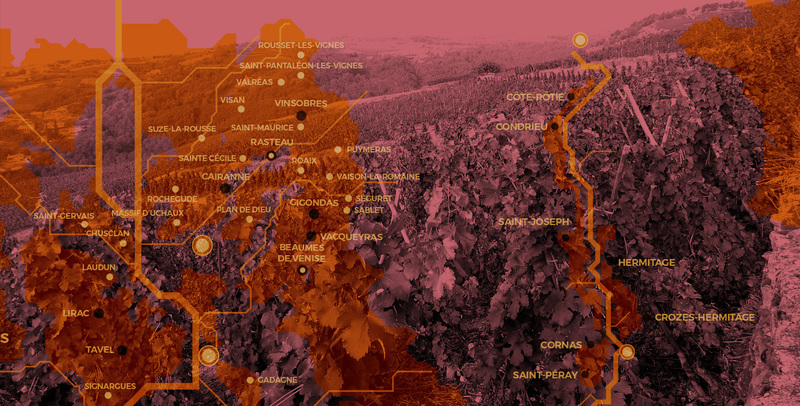 In 1967, the appellation area expanded to include other communes, reaching 387 hectares. It was only in the 1980s when the effort invested in previous decades, coupled with a new generation of dynamic growers, finally paid off; the appellation regained its vibrancy and sealed the wine’s reputation for good. In 1986, the AOC area was revised to exclude all vines at over 300 metres altitude, reducing the area to 262 hectares and promoting only the best-exposed hillsides. Today, of the 262 hectares, 140 are under cultivation. Condrieu wines are still mainly dry. 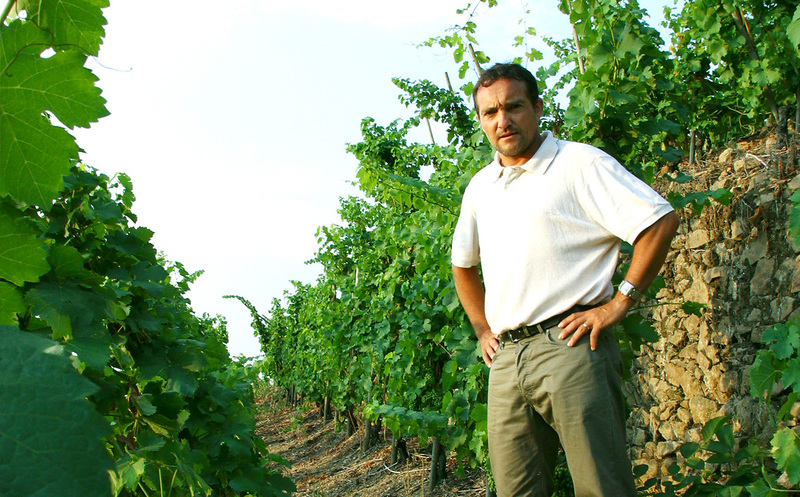 But, thanks to the increasingly warm-weather vintages since 1990, some growers, such as Yves Cuilleron, have tried to reproduce the sweet Condrieu of yesteryear in special cuvées. THE AOP SAINT-PÉRAY: After the Roman occupation, the powers of the Bishop-Count of Die stretched as far as the Rhône-side city of Valence. In particular it founded a university, which ran until 1790. The prelates had a penchant for wine, as did intellectuals, teachers and students; and these bons vivants doubtless influenced its character. The Bishop-Count of Die demanded powerful wines to reflect his importance. But there is no explanation for the white wines produced on the western limits of its diocese in Saint-Péray. This west-bank village gave its name to the cru; then, at the Revolution, became known as “Péray white wine”. In 1825, Alexandre Faure, a Saint-Péray merchant, hired a cellarmaster from the Champagne region to develop a sparkling wine. The first bottle of sparkling Saint-Péray was uncorked in 1829, at the foot of Château de Crussol, which looked straight down on the vineyards. This was a glorious era for Saint-Péray: the mousseux, or sparkling wine, was celebrated across France and Europe. Lamartine, Guy de Maupassant, Queen Victoria of England, Richard Wagner, Charles Baudelaire and Pope Pius VII all sang it praises. But phylloxera struck, and Saint-Péray’s vineyards fell into disuse. Yet in 1936, Saint-Péray and Saint-Péray Mousseux ranked among the leading French AOCs.